The Pezzato bead is a unique two-toned bead in that only one color of glass is used to create the multi-colored effect. The bead is layered with 24kt gold foil on one half and silver foil on the other, then encased in Murano glass, which in this case is crystal clear. The gold foil tends to make the color warmer and the silver makes it sharp and crisp. 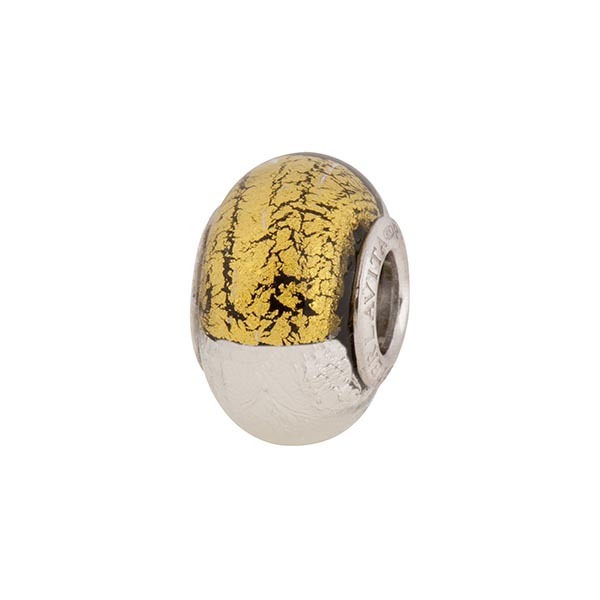 The insert is sterling silver, approximately 5mm in diameter, and the bead is approximately 14mm tall and 9mm wide. Compatibile with most European bead systems. Complete with authenticity card.